An enchanting island, a unique destination. Welcome to Santorini, the island of the volcano, the caldera, the great culture and the unique flavors. 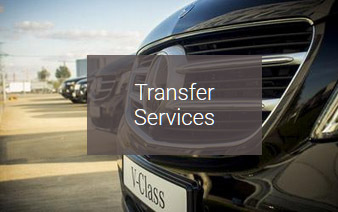 Get ready for a memorable experience and discover, with the transfer services of ID Santorini, all the beautiful corners and the sights which will overwhelm you. 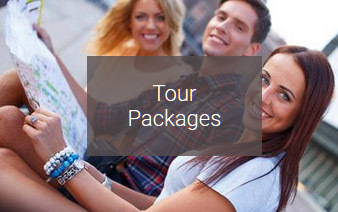 Book with us a tour around Santorini and organize it with the reliability and comfort of the vehicles of ID Santorini Transfer & Tours! Are you ready for a trip like no other? Let's get it started! The caldera of Santorini is probably the most important site as well as a unique geological phenomenon. The tours of ID Santorini at the villages and settlements, like Fira, Oia, Firostefani and Imerovigli, will "transfer" you to the heart of this amazing landscape. Discover the magic of the sunset as well as the uniqueness of Santorini through a tour at the caldera of Santorini with ID Santorini Transfer & Tours. Furthermore, discover the history of the island with a visit at the archaeological site of Akrotiri with the unique architecture and the significance of a civilization which was developed over 3.500 years ago. Also, in Ancient Thira, you will admire the city constructed by the Spartans on 8th century at the top of Mesa Vouno where, except the buildings and the temples, you will admire as well the stunning view at the sea! The villages of Santorini have each its very own character and atmosphere. At the capital of the island, Fira, you will discover unique spots where you can enjoy the view at the caldera while wandering around the shops and the restaurants of the most live spot of the island. At the unique Oia, you will admire the architecture which combines the mansions with the cave houses and you will feel the aura of this special spot. Don't miss the sunset in Oia which is also included in the recommended tours by ID Santorini Transfer & Tours. Among the villages of the mainland, the one standing out is the medieval Pyrgos with the picturesque square, the churches and the past-era ambience. The calm Megalochori is the heart of agricultural Santorini and, nowadays, the visitors enjoys the peacefulness of the landscape while wandering around the picturesque alleys. Stop at Emporio to see not only the most well-maintained fortress of the island where the houses are built the one next to each other with their doors and windows painted in vibrant colors, but also the interesting churches. The beaches of Santorini disclose the volcanic past of the island. The sand is black or red depending on the beach, while the waters are crystal-clear. Joining the tours of ID Santorini, visit the beach of Perissa, which has been awarded with an EU Blue Flag, where you can, not only swim, but also enjoy your coffee or lunch at the beach restaurants. The neighbour beach of Perivolos is also a nice choice, while at Vlychada, you will be impressed by the formations of the rocks. Last but not least, the beach of Kamari is very well organized, while, at the island of Santorini, you will find many natural beaches which are still marked by the lava, sea bottom and environment wise. Santorini is full of beautiful locations. Akrotiri Lighthouse, one of the oldest in Greece, is one of the unique locations on the island. The tours of ID Santorini will bring you here to enjoy the amazing view at the caldera, the volcanoes and the whole island of Santorini. From there, head to the monastery of Profitis Ilias with the stunning view from above to the whole island. 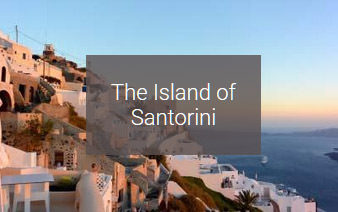 Also, a visit tour with ID Santorini to the villages of the caldera, Firostefani, Imerovigli and Ia, will bring you closer to the hidden, full-of-beauty secrets of Santorini.